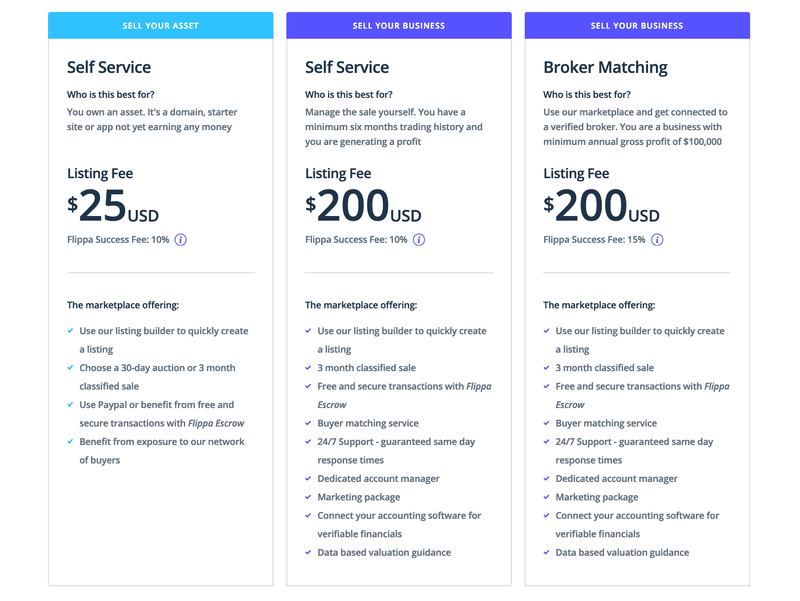 At Flippa, we are always looking for ways to add value and we will always add new features to support our growing ecosystem of business owners, buyers and the brokers who often support them. Asset Sales including the sale of a domain, app or starter site, i.e. something not generating any revenue, can be sold for a listing fee of $25 and success fee of 10%. Self Service Business Sales is best suited to profitable businesses with a minimum six month trading history. Sell for a listing fee of $200 and a success fee of 10%. Broker Supported Business Sales will match you with a specialist broker. Best for those with annual profits of 100k+. Sell for a listing fee of $200 and a success fee of 15%. The 10% success fee on Asset Sales and Self Service Business Sales is a reduction. This was previously 15% for Credit Card payments and 12% when using Flippa’s escrow service. Flippa still absorbs the escrow transaction cost. Note: Pricing and fees are in USD. Your sell price should always be in USD. We’re pleased to announce that Flippa has introduced Buyer and Seller Management services. These services are free and designed to streamline the sales process for you. 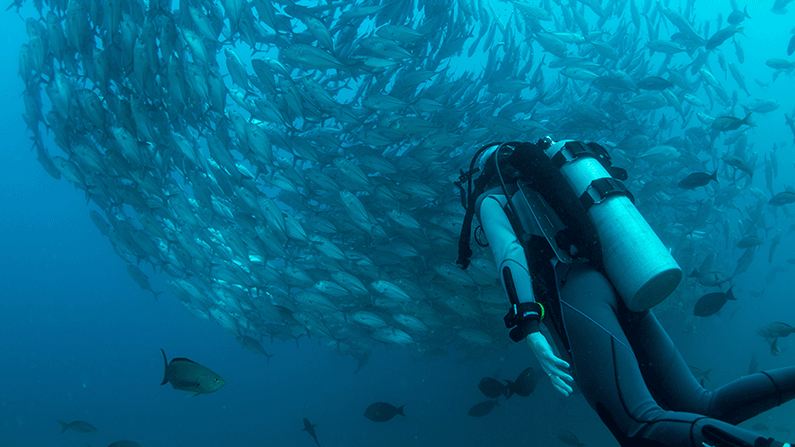 Buyer Management takes the hard work out of the search. If you are looking to buy a business over $25k, simply schedule a call with one of our buyer managers here. They’ll learn about your needs and explain the matching process. They’ll then search for businesses on your behalf and will act as matchmakers. Seller Management takes the hard work out of the matching process. This service is designed for businesses priced over $25k. You’ll be matched to an account manager post listing and your account manager will ensure your profile is optimised and that buyers are verified before they are put in touch. They’ll be by your side every step of the way. ID Verification. Flippa has partnered with the award-winning Jumio to ensure that both buyers and sellers are verified before listing or making an offer for a business. This service will be released in November 2018. Platform Messaging / Negotiation. Flippa is working on improvements to the existing messaging functionality. This will enable in-platform messaging and negotiation to ensure buyers and seller private contact details remain confidential and that all communications are confidentially and securely stored. This service will be released in January 2018. We’re excited by the progress we’ve made in recent months. We are proud of our history as an asset marketplace but we have evolved. Our vision is now to service buyers and sellers of businesses globally by connecting all parties, key services, and facilitating the end-to-end business exchange in a trusted and efficient environment. Is it time your business jumped onto Amazon FBA? If you already have, or you’re contemplating, a start-up with an actual physical product to sell, then you have probably heard of Amazon FBA – but what is it exactly and what are its advantages and any potential drawbacks you need to know about? Well, as a budding mature-age entrepreneur myself I’ve been very interested to follow the progress of one of my friends, Georgina, who has been steadily building a very successful business in high quality skin care products, emulating the well-known and pricey Aesop’s range, but with some extremely creative additions as well. Like so many other successful start-up businesses, Georgina’s was initiated in her garage, where she worked hard to experiment with bases and herbal ingredients (some of them very expensive) and the mixing, matching and blending processes to create not just practical but alluring fragranced skin products – from hand-wash, to body wash, to nourishing body oils, and later on perfumed candles and aroma diffusers. The design of packaging (again very expensive) was a major challenge. Logos and branding took time and creativity. The initial sales (obviously on a loss basis for quite a while given the development costs) were to family and a network of friends. But there was a vision. The vision held firm and the viability grew. Finally there was proof of concept as the sales took hold online and some great exposure was achieved when a major Melbourne homewares brand with several suburban stores agreed to stock some of the range. By now the garage was completely outgrown. It was time to lease a bigger space just for the production itself, and the rental was a significant expense. Georgina took on a couple of university student casuals to help her – but by now the real problem was storage, managing inventory and delivery. Packaging and posting individual orders and hand delivering the store orders had become unmanageable and Georgina was completely out of storage and handling room. Amazon FBA (Fulfilled by Amazon) entered the Australian market space just 12 months ago – at exactly the right time for Georgina. As a great example if IaaS (Infrastructure as a Service), Amazon FBA manages every aspect of the pick-up, storage, inventory management, order shipping and even customer returns. It’s useful to clarify that your product does not need to be sold on Amazon itself (although of course it can be). The winning point of differentiation for Amazon FBA is that it’s an end-of-the-line system which saves your business time and money because Amazon stores your products and manages their delivery in your direction. The fulfilment fees are extremely competitive, given Amazon’s vast network of storage, delivery and inventory management systems. Their advanced data management systems allow you to monitor and track all inventory, orders and deliveries as they are happening. The fulfilment fees include all packing of orders, inner packaging and delivery, even including the management and accounting for any returns. Separately there is a monthly storage fee, based essentially on your cubic metres of stored product. It would be impossible for a small start-up company to access its own rented storage facility in an equally cost-effective way. All of Georgina’s products are classified by Amazon FBA as ‘standard-size’, but companies with large physical products such as craftsman-made tables and furniture are also accommodated on a different storage fee schedule. One potential financial hiccup to be aware of, is that Amazon FBA storage fees have a price hike (literally tripled) in October-December because of the premium on space in the lead-up to Christmas, but this applies to the storage fee only, not to processing and delivery fees. Obviously, costs will depend on the kinds of products being handled, but as an indication in Georgina’s case, her typical $30-$40 product has a per-item cost of under $3 for picking up, packing and shipping, plus around $30 each month per cubic metre of stored products. In the case of her business, that’s a lot of product she doesn’t need to store, package and handle for shipping, allowing her and her couple of part-time assistants to concentrate on what they find more interesting and enjoyable – developing and actually making their product range. For a small business, there are really very few drawbacks in using Amazon FBA. Initial account set-up, including business and individual identity verification, and learning the system for preparing product for FBA collection is a bit complex initially, but once managed it’s plain sailing. 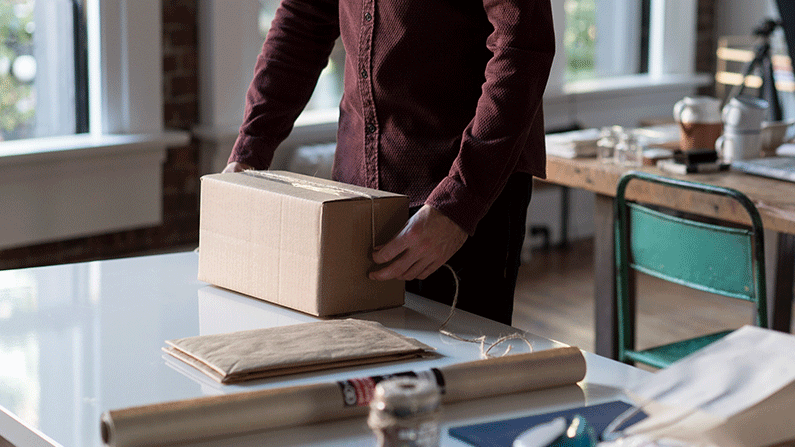 It’s also sensible to check out the very large number of order fulfilment alternatives to FBA offered by many companies now for Australian-based businesses. Few can rival the economies of scale of Amazon, but the best deal for your business may depend on exactly what it is you’re selling and your own production or sourcing processes. In this article, I’ve concentrated on Amazon FBA for Australian-based businesses creating physical products for sale. However, it’s important to remember that there is a massive growing global enterprise in third-party selling. This is where the trader sources products from an original supplier literally anywhere in the world, and then markets it with a price markup, often at a huge margin. Using Amazon FBA the third-party seller can create a highly profitable business without ever actually handling the physical merchandise at any point at all. A variation on this, and one that is often highly successful is the ‘Private Label’ approach. This is where an already existing product is sourced, usually from a low-cost producer overseas, and branded with the third-party seller’s own logo and brand name. Now that’s a completely different scenario from Georgina’s business, but a very interesting one to explore in a separate discussion another time along our journey. We caught up with website investor and internet marketer Jeff Hunt this week. In the interview below, Jeff shares his experiences around becoming an entrepreneur, his favourite monetization methods and growing his own website portfolio. What was your background before you started operating in the website/online business space and how did you make the switch to being your own boss? I worked for IBM as a Project Executive, operating 9-figure outsourcing deals for Fortune 100 companies. Then I took a totally opposite direction moving my family to a small central Asian country where we served students and families in a humanitarian role. While overseas I started some small businesses that needed websites, so I got my feet wet in the internet world for the first time. Soon I discovered that websites were not just marketing channels for brick and mortar businesses but could actually be income-generating businesses in their own right. Seven years later when we moved back to the United States I had started generating cash flow from my websites. I decided not to reenter the corporate world, and instead to grow my online portfolio primarily through buying websites. What prompted you to make the jump? When I bought my first successful website – Note: my first website purchase was NOT successful – I discovered I could make a couple of thousand dollars a month from a relatively simple online business. I didn’t know exactly how to do it at the time, but I knew that if I could make $2K per month, I could probably grow that to $10K per month. That was the magic moment that convinced me it was possible to do this full time. What does a typical day look like for an online business investor? I think it is different for everyone but I start every day at Panera Bread which is a coffee shop/bakery about a mile from my home. I work from my laptop and sometimes I stay there all day, but usually, I hang out in the morning and work from my home office in the afternoon. I don’t have an official office because I use freelancers to do all the day-to-day operational tasks. Although I’ve had websites using almost every business model, I tend to focus on content websites that are more passive. Depending on the phase, there can be plenty of work to do, but it is almost never urgent. That gives me the flexibility to take days or even weeks off to do non-business projects. It also lets me meet with friends, family and other entrepreneurs any time during the day that they are available. When did you first discover Flippa? My Flippa profile says I made a purchase 9 years ago. I probably had an account before that. What is your favourite monetization method? I love non-transactional monetization because it doesn’t require customer service or personal selling. Display ads, lead generation and affiliate monetization methods fit these criteria. I’ve done dropship, FBA, SaaS, eCommerce for digital products and straight services business. All have pros and cons. What are the first three things you look for on a website? I start with the fundamentals. Traffic and income graphs should be flat or going up. If there are peaks and valleys, there should be good explanations for those. Age and consistency are important. I look for inappropriate concentrations. Too much traffic from one source, too high a percentage of traffic landing on one page, too much traffic from the wrong geographies, an unusual mix of device types, concentrations of expense or revenue – all of these are potential negative signals. There needs to be a well defined and understandable process for customer acquisition. If I don’t understand a repeatable process for getting traffic or customers, I back away. Why do you buy websites? I try to identify opportunities that have the potential to be held for the long term. Occasionally something will turn up that is riskier but has some strong upside potential. These deals have to come at a lower multiple to offset the risk. They typically either do well and lend themselves toward a flip, or don’t do well and hopefully at least pay for themselves before going to zero. What are the steps you take to grow websites that you’ve recently purchased? The quickest wins are usually in the financial realm. On the revenue side, adding entirely new monetization sources using existing traffic usually increases revenue by more than it cannibalizes. A classic example is adding display ads to a site that is monetized only with affiliate links. You can also easily increase revenue by patching holes in the funnel. Adding upsells and downsells, optimizing conversion rates, making additional touch points to prospects and following up with existing customers can all yield revenue growth. Another financial move is eliminating or reducing expenses. Business owners often spend money on non-critical functions or overspend on basics like webhosting or freelancer support. Traffic improvements often take more time. Basic on-site SEO improvements can sometimes result in substantial traffic growth. Things like site speed, title optimization, heading optimization, and content updates make a difference. How did you learn how to run and operate a website? I learn from anywhere I can. The basics of WordPress and setting up a website were all self-taught. But I’ve taken many courses over the years to learn methods and systems. I’ve also hired coaches along the way and pay for membership in high-level mastermind groups. Spending money on mentoring and networking can help you focus and speed up success. You’ve been focusing a lot more on teaching and coaching recently, even writing a few articles for us talking about website multiples and another discussing how to make one of your website investments passive. Do you still actively buy and sell websites or is most of your time spent helping others acquire and grow their own portfolios? The vast majority of my time, energy and resources is spent on growing my own website portfolio. I negotiated the sale of two of my sites this morning. While I really enjoying teaching and coaching, my main focus is on growing the value of my website assets for an eventual exit. You also have several courses and webinars over at FlipMinds. Can you tell us more about what Flipminds is? Flipminds is a community of entrepreneurs that Sunil Jaiswal has developed over a period of more than 10 years. They are investors in property, traditional business and online businesses. In the early days, most of the group were property investors. As online real estate became more compelling, I joined the Flipminds team to help train entrepreneurs on how to develop cash flowing assets in the world of web businesses. Now we have an active member community, mentoring resources and training in topics like paths to Financial Freedom, Website Investing, Property Investing, Online Business and Content Website creation. When it comes to making mistakes when buying websites, what’s one thing you wish you knew sooner? It is natural to think that putting less capital at risk is safer than putting more capital at risk. That would be true if all businesses had the same intrinsic risk profile. But the truth is that older, more established, higher quality online businesses are much safer investments than their less expensive but lower quality counterparts. So I would have avoided many mistakes simply by focusing on businesses with better fundamentals. That is not to say that it is impossible to find good websites at lower price points. It is also not to say that all, or even most, larger online businesses are low risk. That isn’t true. Even very high-income sites can have attributes that make them bad bets. Websites generally have high ROIs and with those ROIs come risks that have to be accounted for and mitigated. Compared to 5 years ago, is it easier or more difficult to find a deal when looking for a website? How does the future look for this? It is more challenging to find underpriced deals today than it was 5 years ago. There are more buyers now and the buyer community is better educated and has more resources for making informed investment decisions. Additionally, price levels are going up. Multiples are growing not only because more buyers are entering the market but also because website assets have attracted the interest of private equity groups, larger private investors and institutional investors. Despite the fact that big-money investors have entered the fray, there will continue to be opportunities for buyers and sellers at every price point because there is a market for websites at every stage of size and maturity. As technology evolves, online apps take on different forms, adapting to a variety of devices and platforms. This creates new business models, new niches and new ways to deliver online solutions that will continue to create opportunities for anyone willing to master a little corner of the market. I am very optimistic about the marketplace for online business. Economies grow by increasing the productivity of their workforces and websites and internet technologies are key elements of that productivity growth. 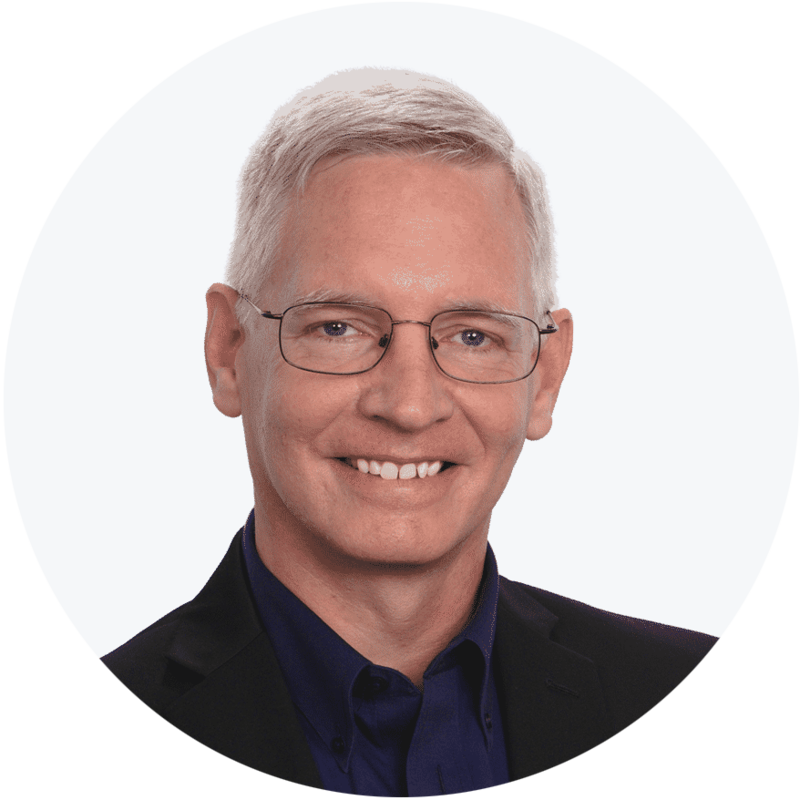 If you want to learn more about buying an online business, you can sign up for Jeff’s free training course via Flippa here. Jeff Hunt is an internet investor, marketer and website owner. He actively buys and grows websites with the intent of creating multiple passive income streams, and enjoys capitalizing on internet opportunities to help others to do the same. You can learn more about Jeff and his courses here. This week we spoke with Madeleine Saric, owner of Dubleup business which is currently for sale on Flippa. Here are some highlights from our conversation with her. Can you introduce us to Dubleup and tell us how it all got started? So Dubleup is on an online e-commerce platform and we sell tech accessories for Apple and Android products, phones, tablets, watches. Everything is on there that you can imagine, from power banks to cables and cases. The list goes on. Your top seller is the credit card power bank charger, so tell us a little bit more about this? I developed the worlds smallest power bank. It is the size of a credit card and fits into the credit card slot of your wallet. It is essentially designed to give that extra bit of charge for when you are out. That was the idea behind it, I did travel a lot and didn’t need the chunky power bank, I just needed a little bit of extra charge. Let’s us back up a little bit, who are you and how did all of this come about? I’m Madeline Saric and this came about when I was doing an internship overseas and the boss I had told me, ‘start something when you are young and you won’t regret it’. So I came back to Australia and whilst I was still studying I came up with the designs for the power bank. Working at Apple, I came to understand what consumers wanted and what was missing from the market. This is what led to the evolution of Dubleup and this small power bank. From there I started working with teams in China, R&D and engineers and coming up with the final product which is the power bank. Approximately how many units of this product have you sold into the market? Apple and Android combined we have sold tens of thousands. Apple is obviously a lot more successful and we have Apple certification as well so it is approved by Apple and supports any products that they sell. Looking at your business, what is there for a potential buyer to take over? Do you own the brand and have the ability to continue with manufacturing in China? Why are you selling Dubleup? The first reason is that I wanted to build a business, get it to a stage where I could sell it and differentiate myself from other people. The second reason is I’m a firm believer in doing something that you absolutely love and are passionate about and as much as I love technology, I’ve lost the passion for it. 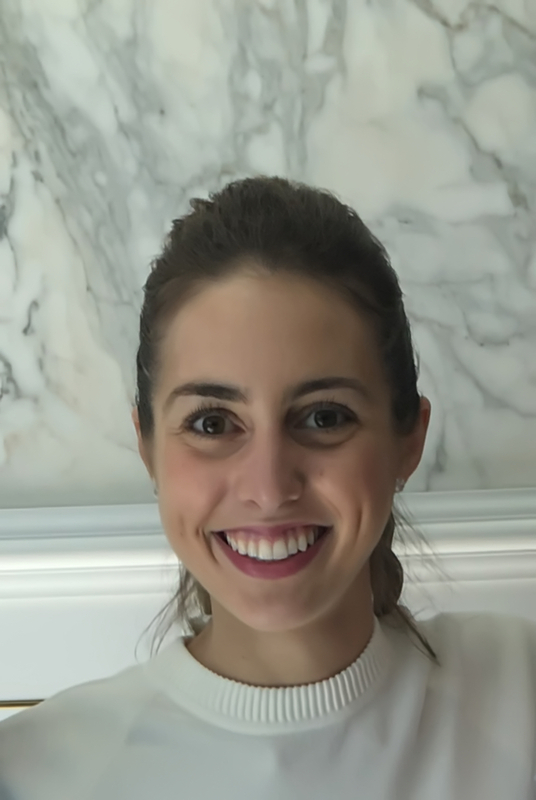 Madeleine Saric is the founder of eCommerce electronics business Dubleup, which is currently for sale on Flippa. 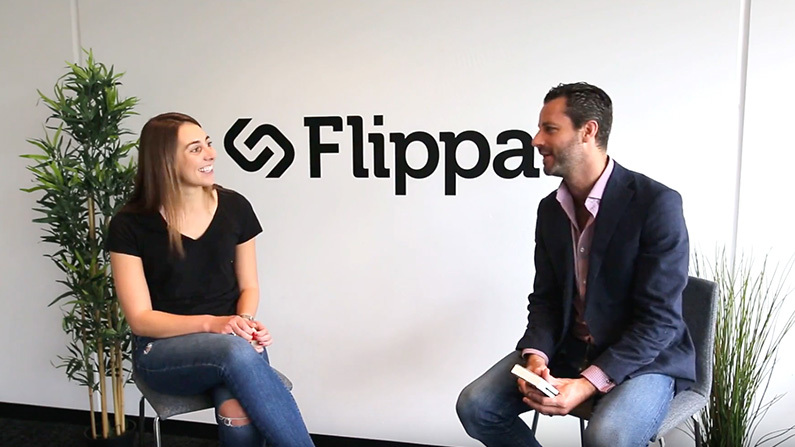 Account management at Flippa is our way of helping sellers find the right buyers. Our team of account managers work directly with our users to ensure that they have the best chance of selling their website. If you’re looking to sell a website, app, Amazon FBA business, or Shopify store on Flippa, our Account Management team will be there to help you close the deal. What assets qualify for Account Management? For starters, nearly all assets managed through Account Management end up being promoted through Editors’ Choice on Flippa. Typically, these are high-quality, stable, and profitable businesses. To get an idea for what kind of businesses we represent it is recommended that those who are interested take a quick browse through Editors’ Choice section. The basic criteria for determining whether a business is suitable for Account Management at Flippa is whether we think the business can sell for more than $10,000 with our assistance. Typically, this means focusing on businesses generating $500 to $10,000+ monthly profit with at least 12 months of verified Google Analytics traffic. Occasionally we bend our criteria a bit to accommodate businesses with some other major value. However, it should be mentioned that it is highly unlikely to take on a brand new business or Starter Site that is not yet driving traffic or revenue. I’ve sold sites on my own before. Why should I use an Account Manager? The benefits of using an account manager is that an account manager will work with you throughout each step of the process. If you are working with our Account Management team, you can expect to have an Account Manager assist you through every step of the sale. I’m interested in Account Management. How can I apply? The easiest way to apply for Account Management is to request a free website valuation. Our Account Managers will review your submission and reach out requesting more information. Once we have collected a few more details, we’ll circle around with a valuation and sales strategy, as well as an offer for assistance if we determine that your business qualifies. The other way to apply for Account Management is simply to create a Flippa listing. We have software in place that can identify websites likely to qualify for Account Management. If your website qualifies, one of our Account Managers will reach out and contact you via email, so make sure the email address associated with your Flippa account is up-to-date. Have you worked with our account management team before? If so, comment below with your experience! With the number of Shopify stores being bought and sold on Flippa growing rapidly, we’ve gone ahead and made it easier than ever to sell your Shopify store! The demand for Shopify stores has increased drastically, so much so, that we’ve made it easier than ever for buyers to find the hottest Shopify stores for sale on Flippa with the launch of our Shopify marketplace. This new marketplace brings increased visibility for Shopify stores, allowing sellers to easily reach over 1 million Flippa users. Why Sell Your Shopify Store? There are plenty of reasons why people sell their online businesses, but the most common reasons are that owners don’t have the time to run their business, or are looking to sell the business to invest in a new business opportunity or help put a down payment on something big (like a house or car). Once you’re ready to sell your Shopify store, simply go to Flippa.com/sell and select “Website”. From here, choose “eCommerce” and then “Shopify”. Our listing builder will walk you through the rest! A Shopify listing costs the same as a normal website auction. $9 for a classified listing and $29 for the standard auction. When creating your listing, it is important to provide as much information by being as thorough as possible. This includes going into detail on every aspect of the business, including operations, revenue, and traffic. If you have Google Analytics installed on your site, verifying traffic is simple! During the process of creating your listing, you will be prompted to use our Google Analytics API to automatically verify your traffic. If Google Analytics is not installed, you will need to look at your Shopify Analytics and manually input the data. It is recommended you take screenshots of your analytics if you are using Shopify Analytics. Beyond that, it is important to take screenshots of your revenue, and make sure to factor in all the operating costs of running the business. Once you have inputted this information into the listing, don’t forget to upload these screenshots as attachments, so users can see the revenue for themselves. I spend about 3 hours per week scheduling posts on Instagram and Facebook. These posts typically outline any promotions that are going on, or any new products that have been added to the store. This is done once a day and typically takes 15-30 minutes per day, depending on how many total orders are placed. All orders are fulfilled by a third party, so you just need to place the orders with them directly. Once your listing is ready for launch, we recommend reviewing your auction and looking to see if you’ve missed any details that a buyer might want to know. The more information you have on your listing, the less questions you’ll be answering during the auction! How much can I sell my Shopify store for? How long does the auction process take? We recommend setting your auction time to last for 10-14 days. This gives enough buyers to perform their due diligence on your asset and gives you time to answer any questions they may have. Once the reserve price has been met and your auction ends, typically sellers receive their payments in about one week’s time. This is dependent on how quickly you (the seller) can transfer over the ownership of the asset. Auction Process: What to Expect? Now that your Shopify listing is live, what can you expect the process to be like? For starters, it’s important to treat everyone as if they will be the person buying your Shopify store. As with the listing process, try to answer any question as throughly as possible. 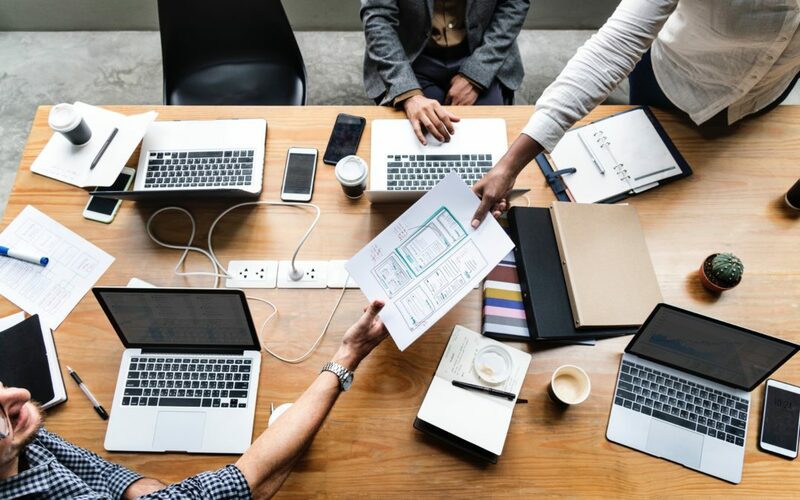 By doing so, not only are buyers knowing what your store is like, but you also establish an excellent connection with them, increasing the trust. Since it’s likely you and the buyer have never met, trust can play a big factor on whether a user decided to buy an asset or not. One great tip is if anyone asks a great question that wasn’t covered in your listing description, is to copy the question, and the answer, and paste it into the comments section below your listing. This will help you avoid answering the same question again, and let potential buyers know that you’re willing to go the extra step, which again, helps build trust. Don’t forget, if you have spent a lot of time building your listing, I can promise that the amount of questions you receive will be much lower than some other listings! Rather than transferring assets and setting the site up on a new cPanel like you would a WordPress or PHP site, Shopify makes the process very simple to transfer assets to a new owner. Note: Before transferring any assets to the new owner, either make sure the funds are in the Flippa Escrow account or you have received the funds via PayPal. If you have not received the funds or the funds are not in escrow, do not transfer any assets. After verifying payment, the first step is to add the buyer as a staff member for the Shopify store. From there, you’ll need to navigate to the account tab under settings and make the user the account owner. Verify with the buyer that they have control of the account. Now that he owns the website, you must then transfer the domain to his name. If you bought the domain through Shopify, you can do this through OpenSRS. For OpenSRS, navigate from the ‘Manage your Domain’ menu and click on any of the following: Organization Contact, Admin Contact, or Billing Contact. Once there, put in the new owner’s information and select YES for admin contact, technical contact, and billing contact, then save it. If the domain was registered through GoDaddy or any other domain provider, you’ll need to check with them directly on how to transfer the domain. Now that the domain and website have been transferred to the new owner, it is time to get paid! Just make sure all social media accounts relating to the site have been transferred over as well. From here, the new owner just has to verify they received the assets, and the money is yours! Do you have any experience on transferring Shopify stores? Leave a comment below with any tips or tricks you may know!